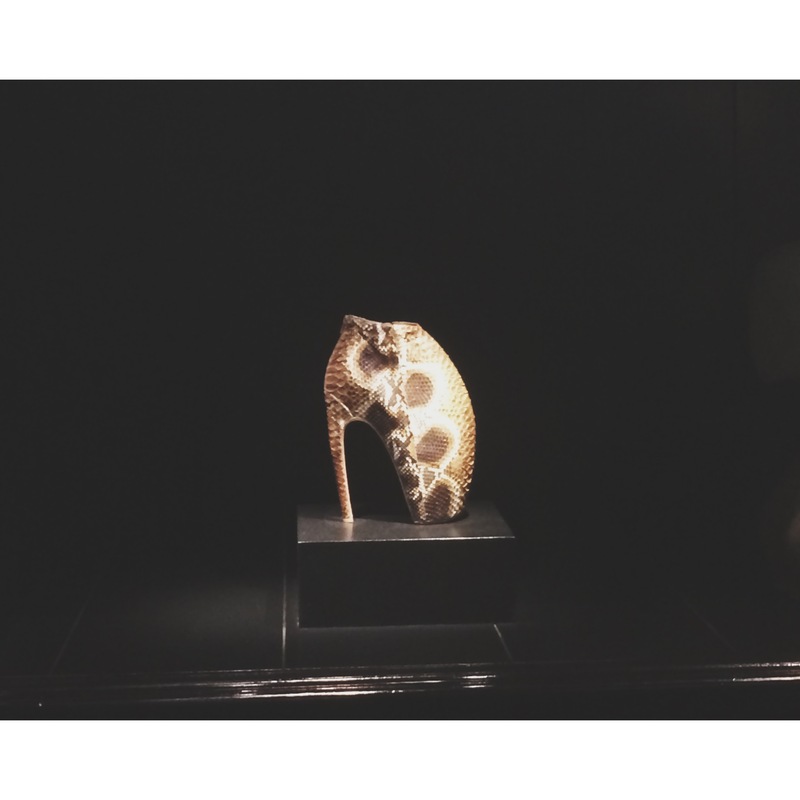 I was delighted to accept an in invitation last night by CTPartners and Alexander McQueen at The Victoria and Albert Museum as they hosted a drinks reception followed by a private viewing of the ‘Alexander McQueen: Savage Beauty’ exhibit. The incredible Jonathan Akeroyd, CEO of Alexander McQueen and Clare Wilcox the Museum’s Exhibition Curator gave a short talk about the life of Alexander, the exhibition and the history of McQueen. In 2011, more than 660,000 people attended the show in New York, Metropolitan Museum of Art’s Costume Institute, making it the most popular show staged there since 1946. Tickets for this exhibition in London went on sale in April 2014 and have already sold over 70,000. 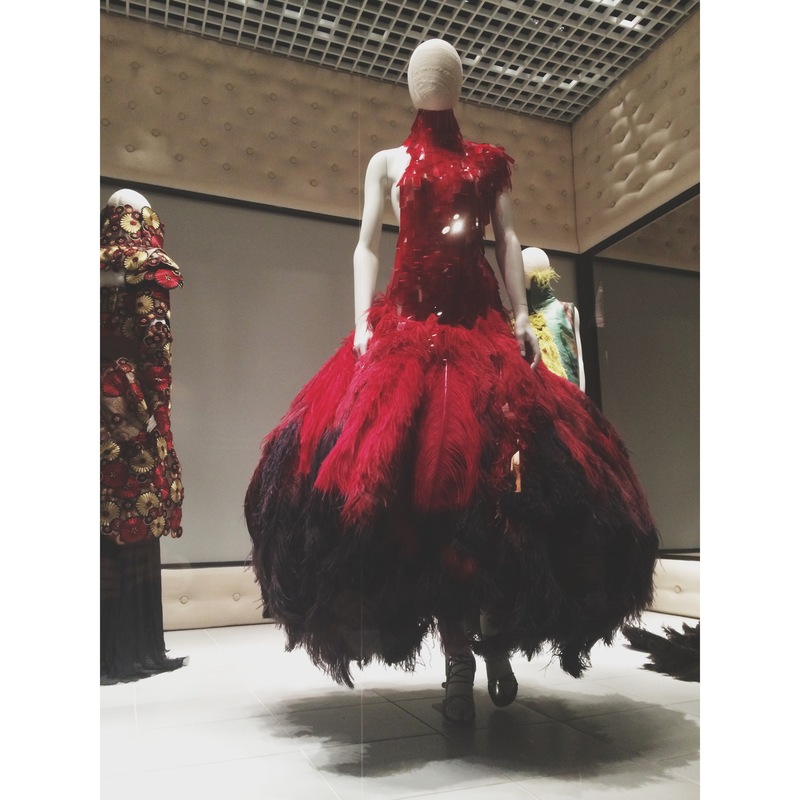 More than 240 pieces of McQueen’s work are featured in the exhibition, including dresses made from feathers and hand painted glass, as well as intricately embroidered kimonos and lace-covered antlers and of course the well-known ‘bumsters’ pants that put McQueen in fashion back in 1995/6. Divided into 10 different rooms, the exhibition takes visitors on a journey through the designer’s work, and career including videos of his shows and special pieces from his archive. 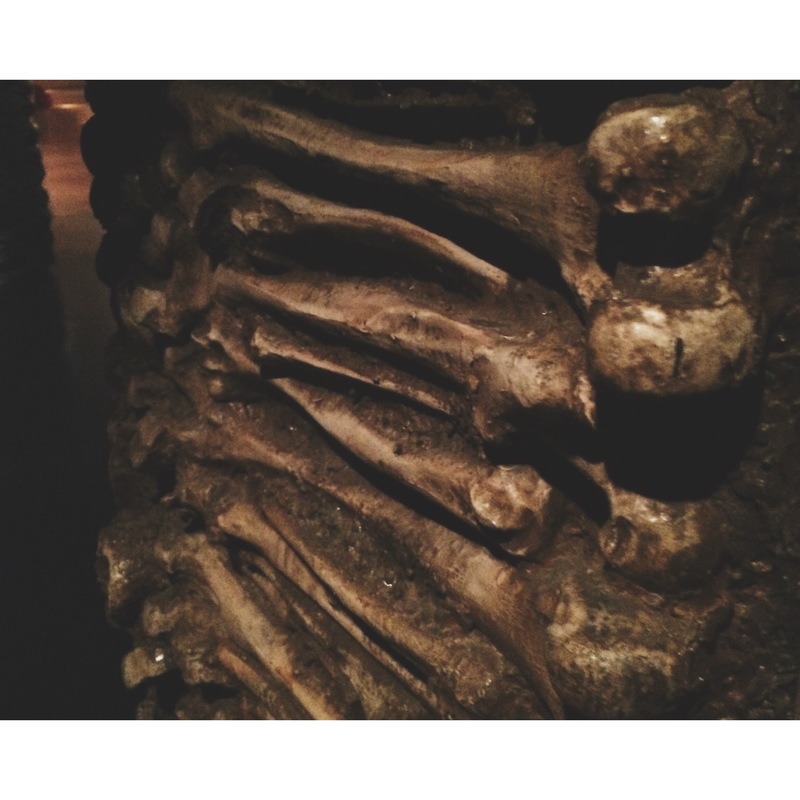 In particularly haunting is the first room where we are spoken to by over by McQueen himself telling visitors that he is going to take us on a journey. 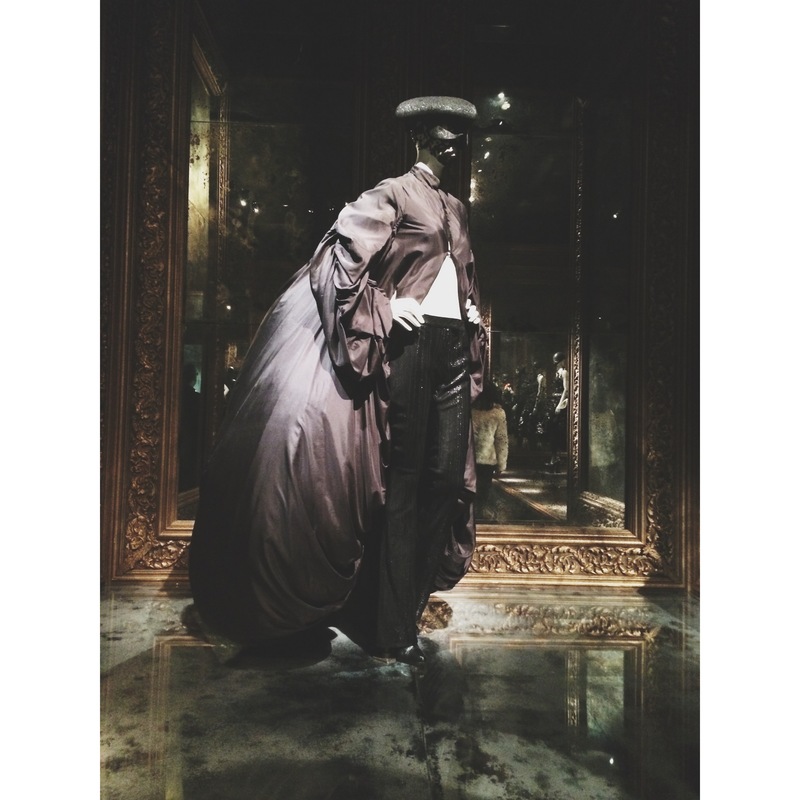 In one room called “Cabinet of Curiosities” that features 120 garments and accessories on show, including his signature “Armadillo” shoes (below), a number of headdresses by his friend and collaborator Philip Treacy, and a white strapless gown that was spray-painted by robots in one of his iconic shows back in 1999. 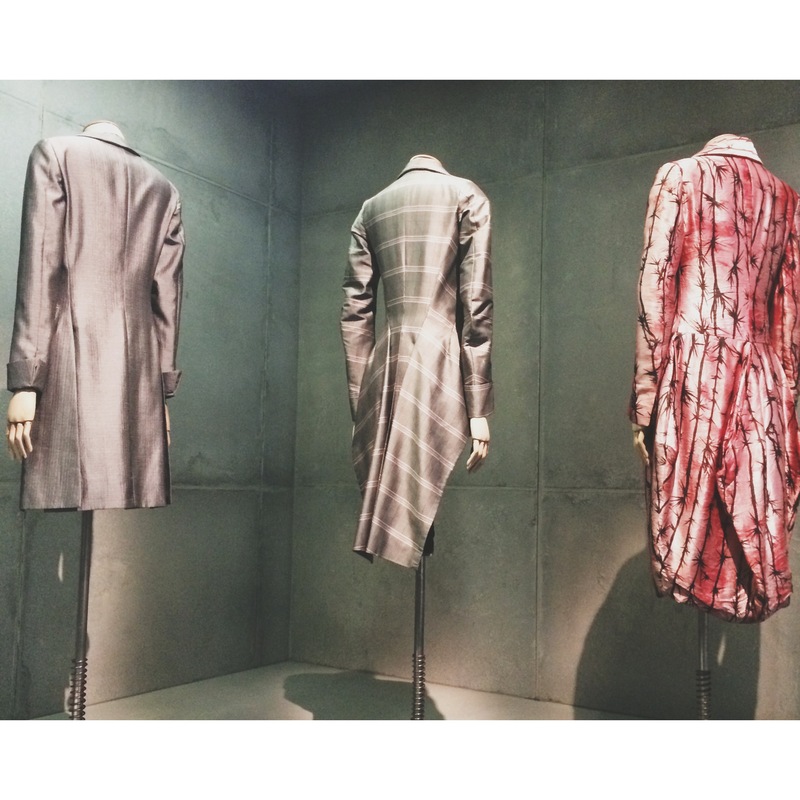 Lee McQueen had an romanticism and obsession with death became his fantasy. 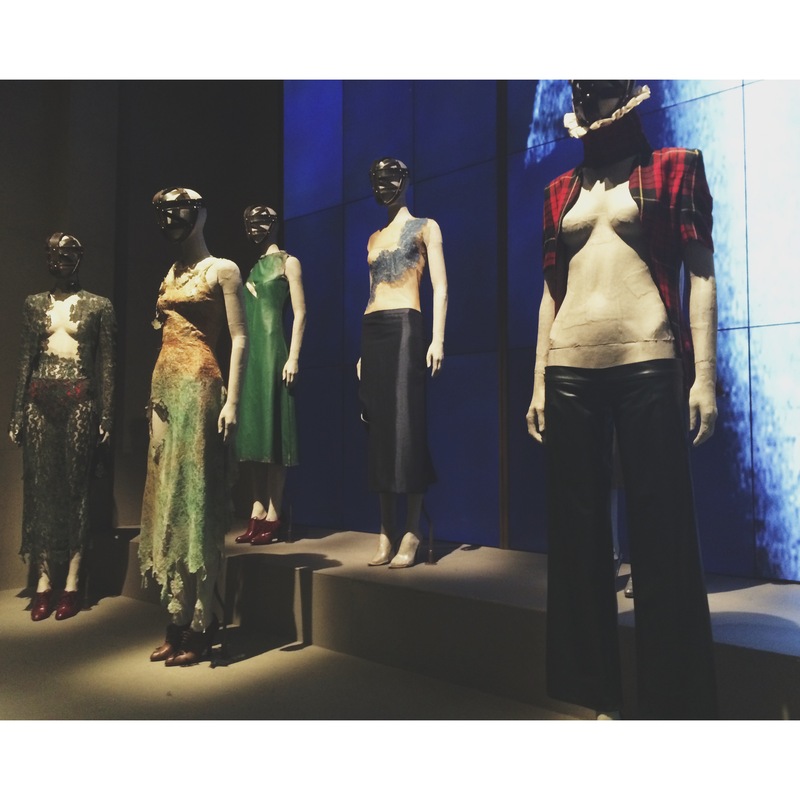 The collection curated for the exhibit is mind blowing to say the least….. Every collection told a story. 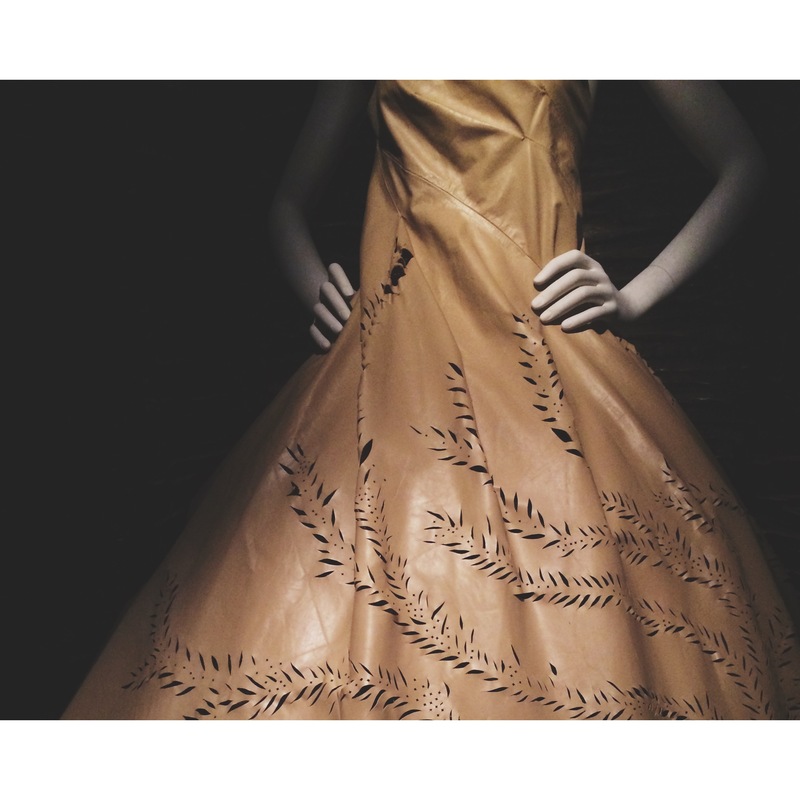 When you watched one of McQueen’s collections, you were always having these feelings of awe or wonder or fear or terror. 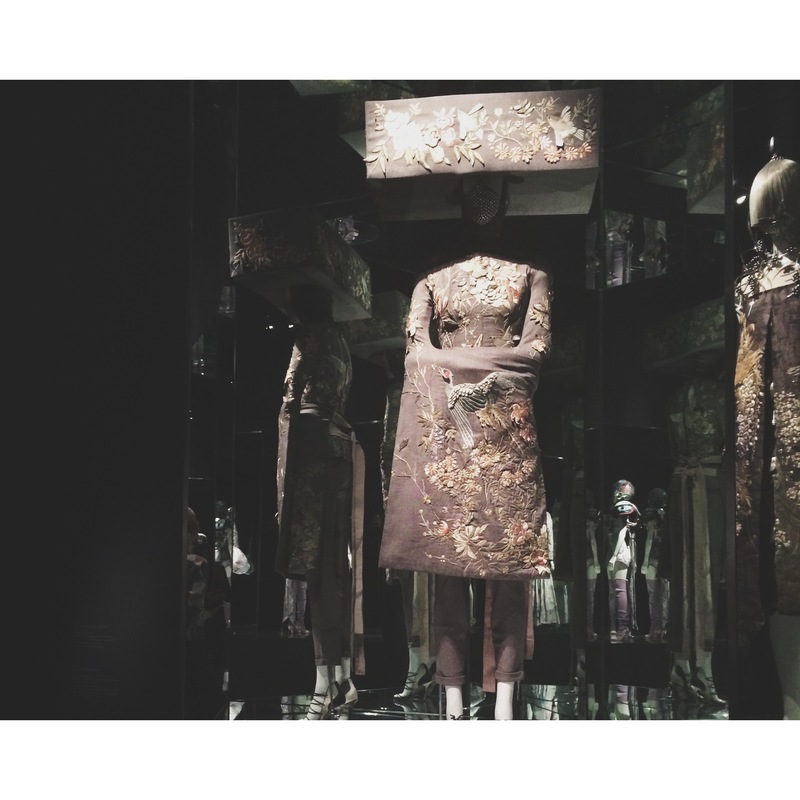 My personal opinion was that McQueen was channeling the Sublime through his collections. And certainly the Sublime experience was something that certainly affected the audience. You were always not sure what to expect when you went into a McQueen show. And you also didn’t know what you felt when you left a McQueen show at the same time. The final, lighter rooms include Romantic Exoticism exploring global influences; Romantic Naturalism, looking at nature as one of McQueen’s most enduing influences with dresses made from dried flowers and razor clam shells; and finally Plato’s Atlantis – the last fully realised collection shown before his death in February 2010, with complex digitally engineered prints inspired by a narrative on humankind and its devolution and Darwin’s Origin of Species, often seen as offering a potent vision of the future of fashion. Savage Beauty is an unmissable and moving exhibition, full of spectacle and theatricality, liberation and intense creativity, that leaves you with a real feeling of sadness at the loss of such an inspiring artist, but also a sense of celebrating an incredible talent.